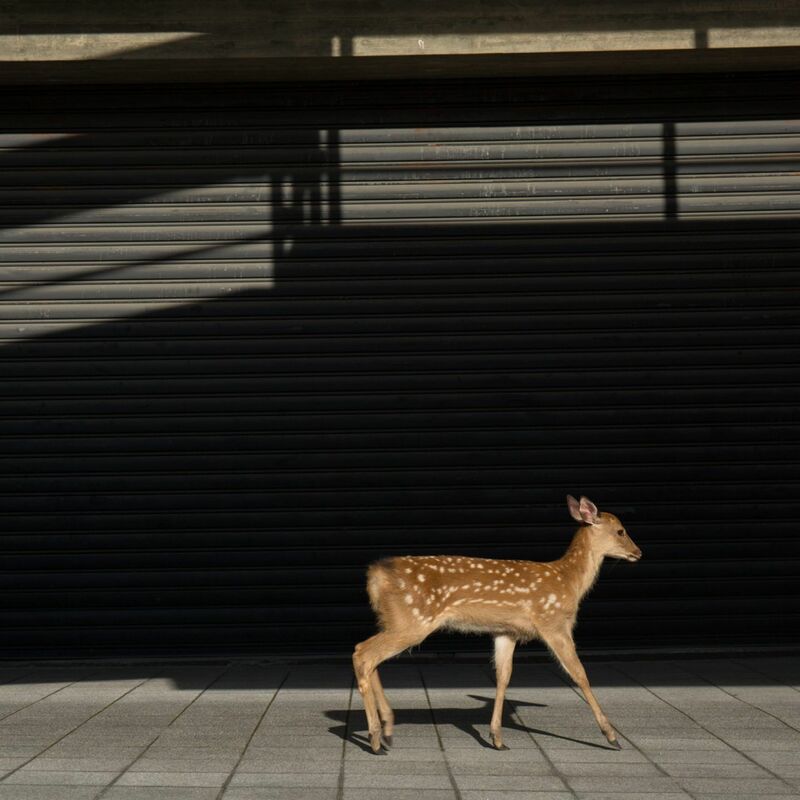 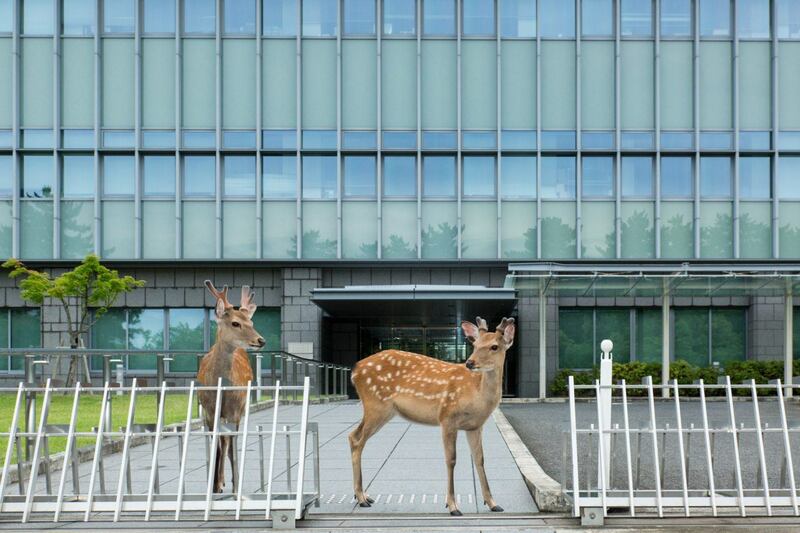 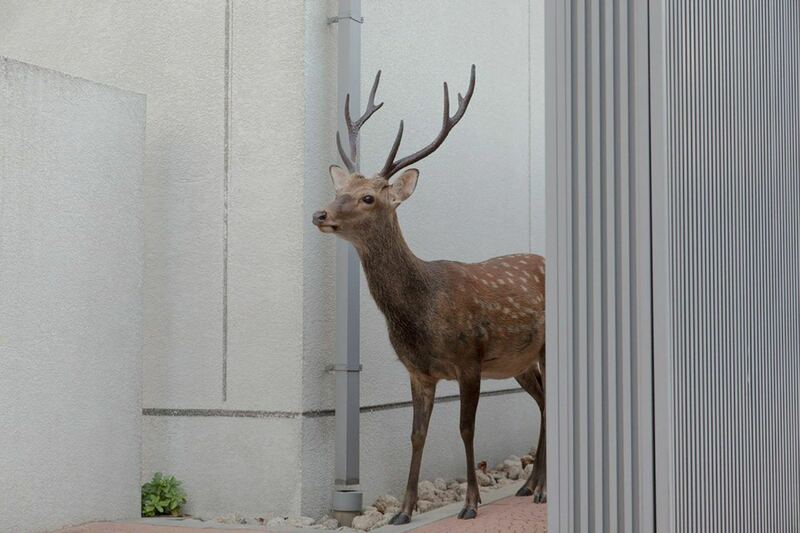 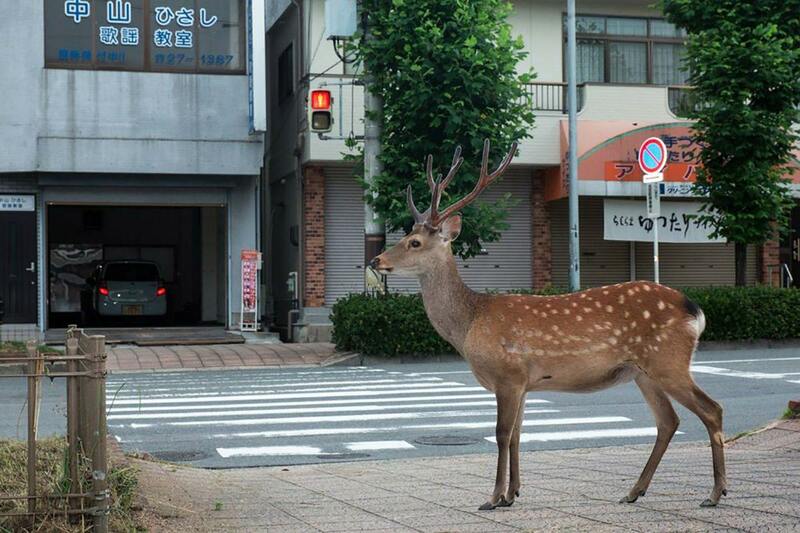 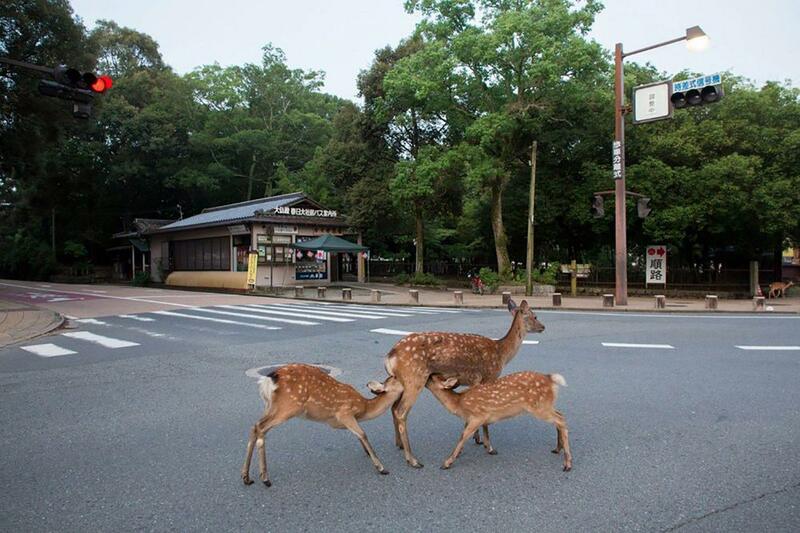 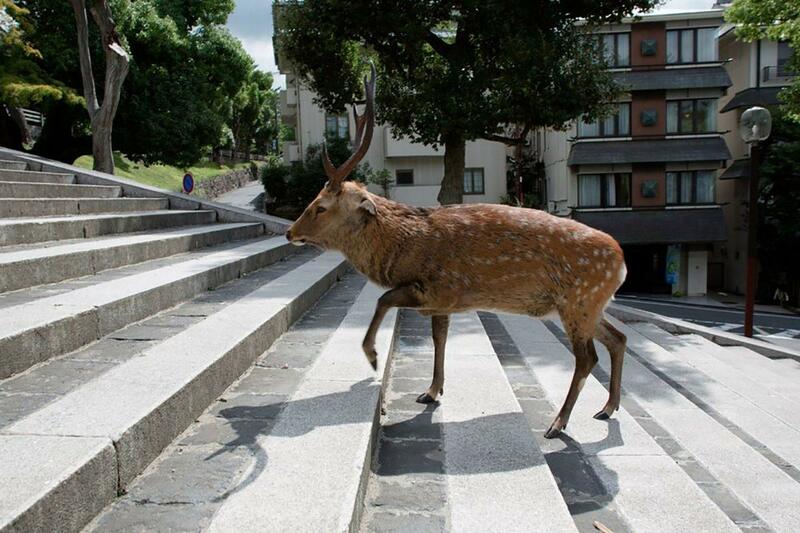 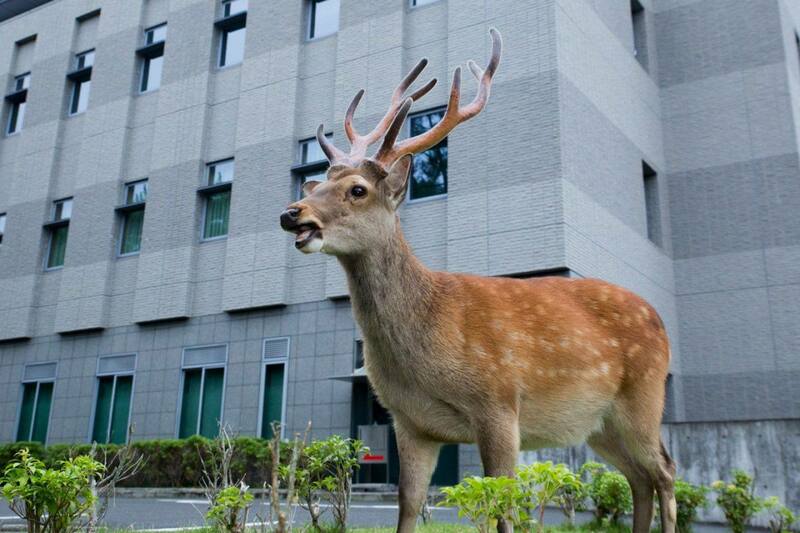 After stumbling upon a pair of deer at an intersection in 2011, Kanagawa-based photographer Yoko Ishii decided to turn her camera on the animal inhabitants of Nara: the ancient capital of Japan where Sika deer are almost commonplace as people. 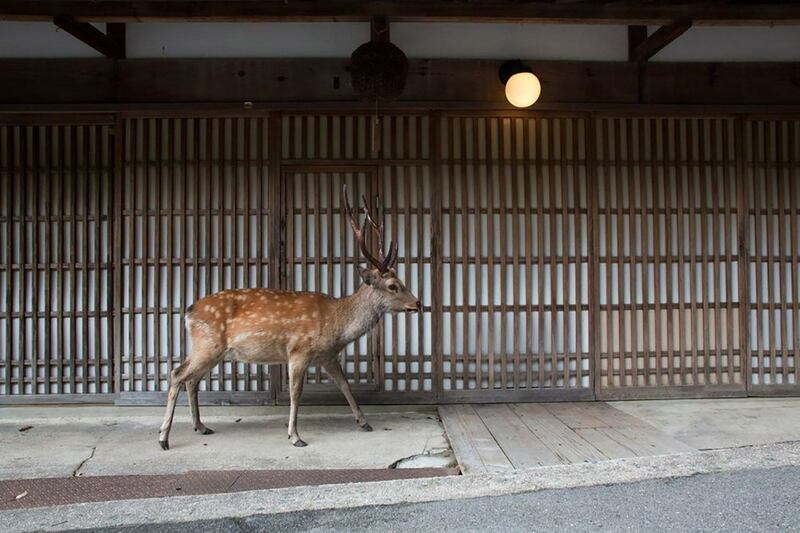 Whilst deer are considered a pest in much of Japan, they are sacred in Nara; protected not only by law but by a history that remembers them as the gods’ revered companions. 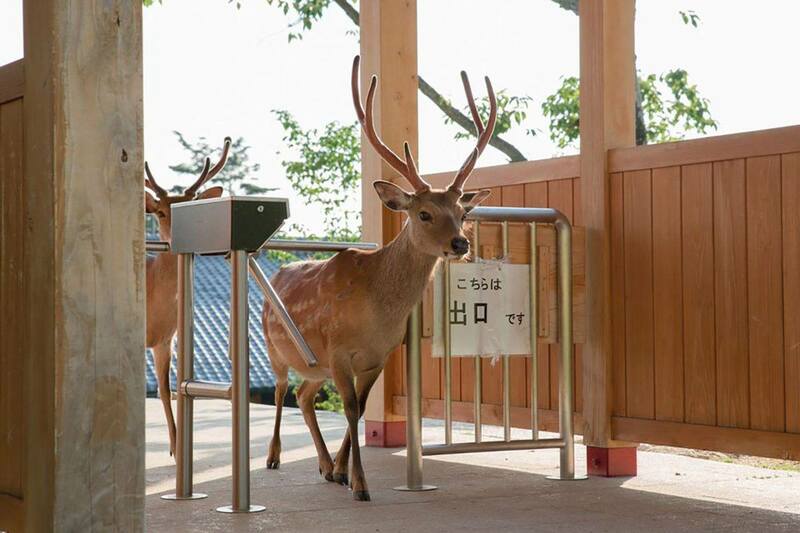 Punishable by death until the 1600s, killing deer remains illegal in Nara; though annually, many tourists die in accidents whilst feeding them. 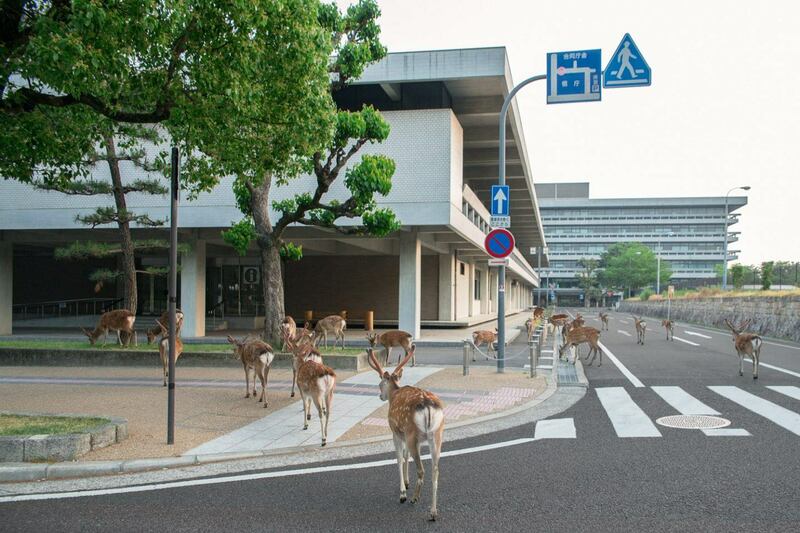 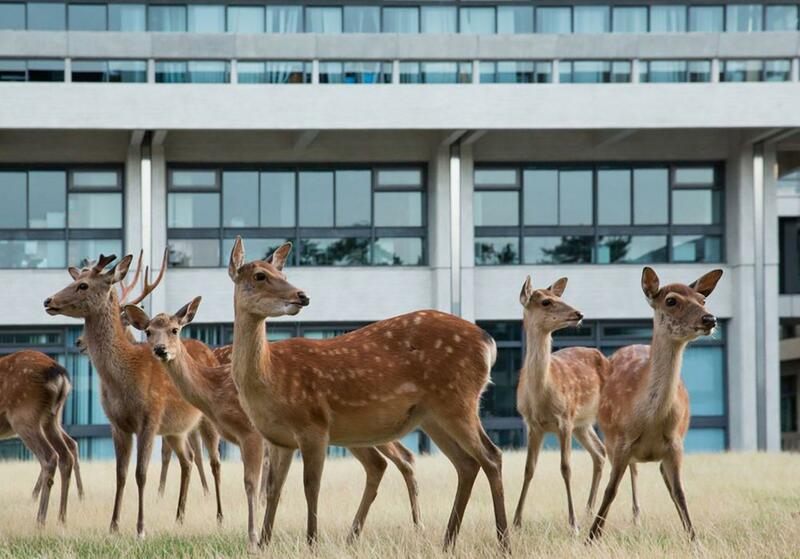 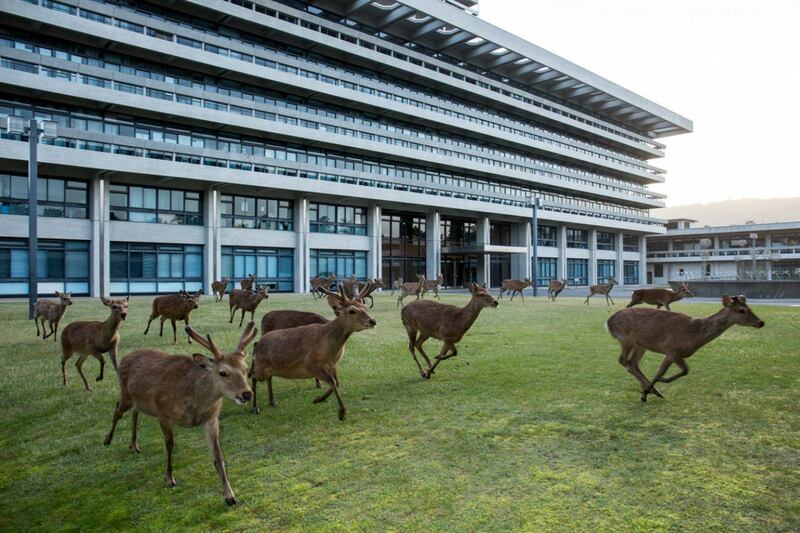 Ishii’s work captures the strangeness of a city in which these deer are exempt from the hierarchical structure that humans have created. 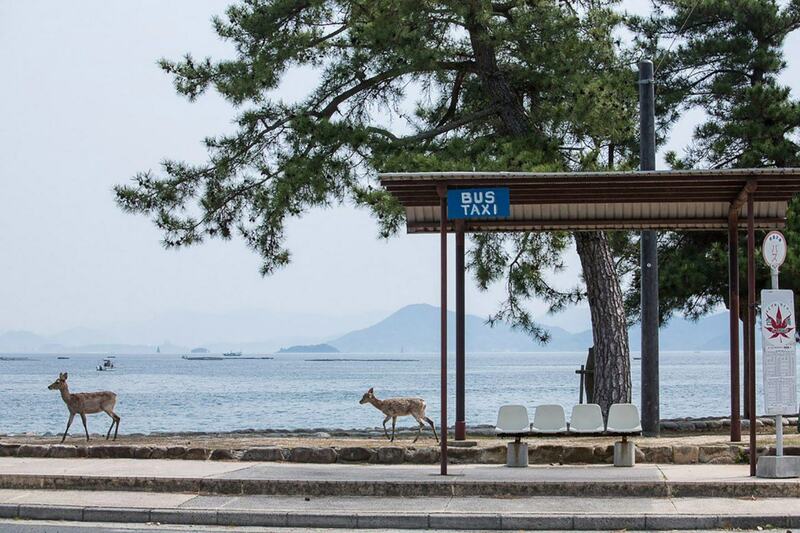 In her series ‘Beyond the Border’, she has photographed the deers of Nara and Miyajima Island in their native habitats—which are not what one would expect. 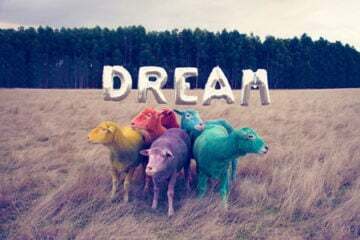 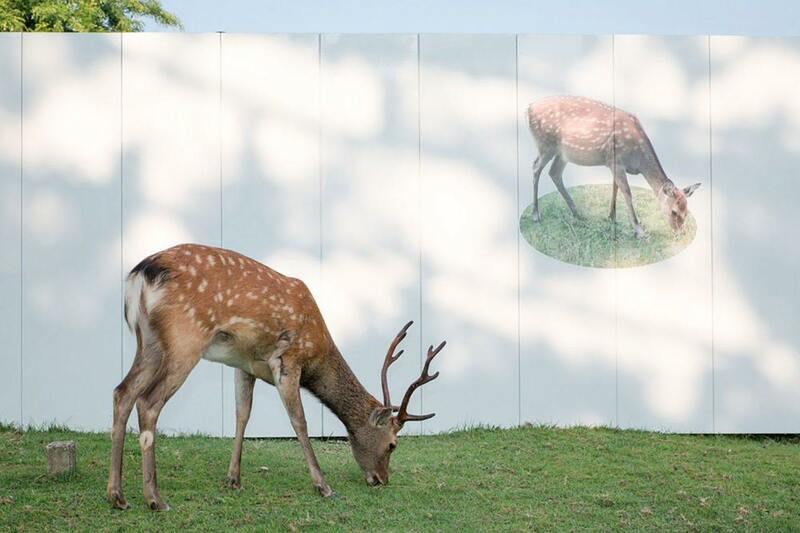 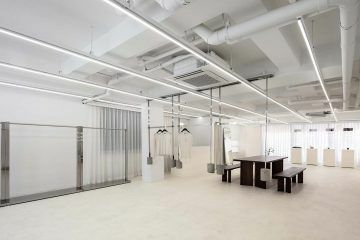 In the surreal selection of images that follow, Ishii has taken care to capture only deer within her frame. 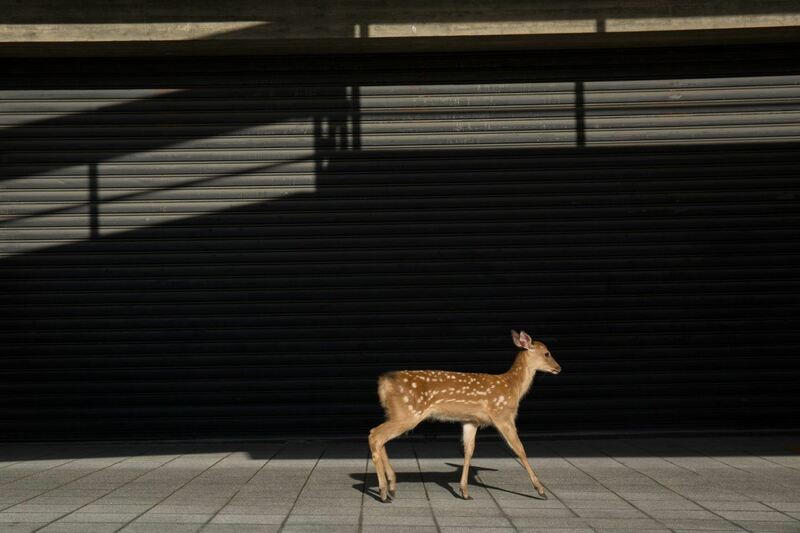 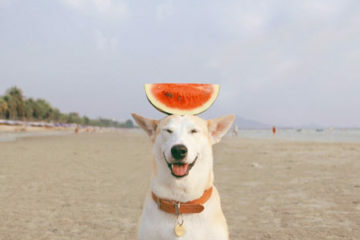 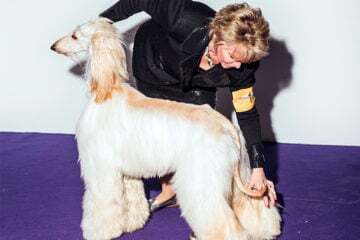 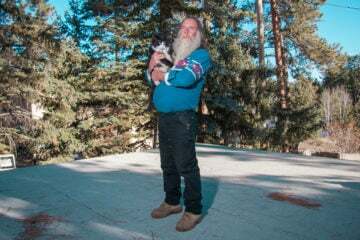 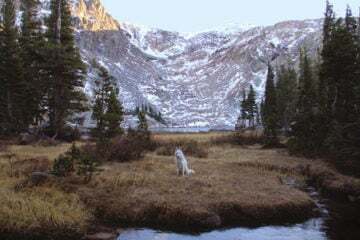 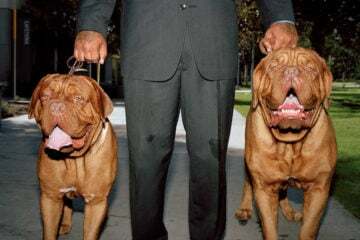 They walk down streets, into gift shops, and stop to feed their fawns at intersections, existing in a man-made world where man is oddly absent, and they appear to reign supreme.